Following quite a bit of silence, there’s been a lot of talk on the Xbox Scorpio, with some leaked specs that paint a rather interesting picture. 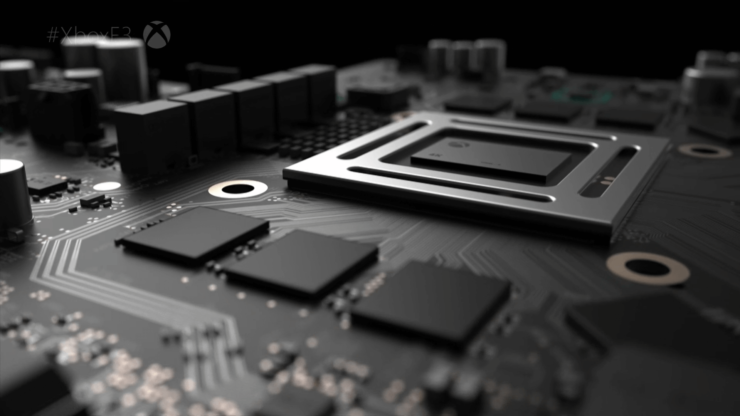 Despite the fact that the Xbox Scorpio seems like a simple upgrade, in the vein of the PlayStation 4 Pro, a member of the Ori and the Blind Forest team recently stated that the upcoming Microsoft console is something more. On the NeoGAF forums, Thomas Mahler defined the Xbox Scorpio as a full-blown next-gen machine that will work like PCs, in the sense that players will not lose their library. All consoles now are x86 PCs and the architecture will remain the same, that’s why Sony was able to quickly iterate on the PS4 and make a beefier version of it. Like mentioned above, a recent leak revealed some interesting details on the Xbox Scorpio. According to the leaked document, the console’s GPU architecture is at least as modern as AMD’s Polaris Line. The six teraflop GPU is once again confirmed, with the GPU’s compute power rated at around 4.5 times the capabilities of Xbox One. Four times more L2 cache is also confirmed – a new detail that does not tell us that much, except that that the GPU architecture in Scorpio is at least as modern as AMD’s Polaris line. Based on our discussions with Mark Cerny on PS4 Pro, we can reasonably assume that Microsoft can customise its GPU core just as Sony did, with access to Radeon roadmap features up to – and perhaps beyond – AMD’s upcoming Vega architecture. Microsoft gives away little here, other than to confirm that delta colour compression (DCC) is a part of the Scorpio GPU feature set, just as it is in PS4 Pro. The Xbox Scorpio launches on a yet to be confirmed release date in all regions.